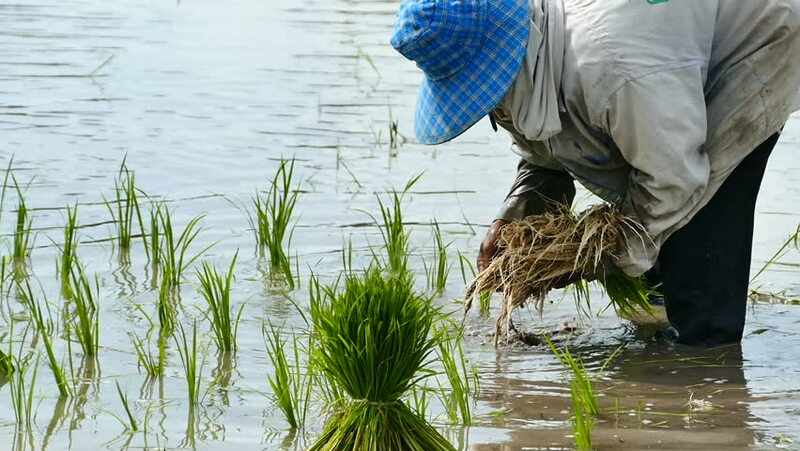 Farmers living in the local area and harvested green rice in the Thailand. hd00:15Thailand farmers with seedlings for planting Shepherd Collection. hd00:07Man picks wild mushroom growing in the grass.